M-Files is an information management platform designed to help businesses manage, organize, and track content. Its features include document templates, electronic signatures, offline availability, workflow automation, annotations, redlining, and more. In this article, we cover M-Files reviews. Ready to try M-Files? Get a free trial. Users who gave M-Files a positive review said that the software is easy to use. Some also shared that it is widely customizable according to their business’ needs. One user who gave M-Files a positive review on G2 Crowd like that it is fully customizable to suit his company’s needs. He also mentioned that it has the ability to automate processes, such as contract approvals and invoicing. Users who gave M-Files a negative review complained that the system’s administration and maintenance are too time-consuming. Some of them also commented that although it becomes easy once users learn how it works, it still requires an initial learning curve. M-Files’ pricing is not available on its website. 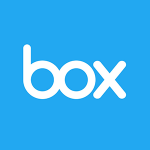 Other similar software cost anywhere between $8 to $250 per month. 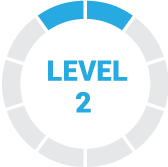 According to a third party site, M-Files has two pricing models: one-time license fee and subscription. Ready to try M-Files? Get a free trial. Best Document Management Software 2018: Google Drive vs Dropbox vs Zoho – Document management software helps your business centralize and manage its documents and files, as well as content creation and workflows. 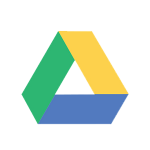 In this article, we compare Google Drive for Work, Dropbox Business, and Zoho Docs in terms of price, ease of use, and features. 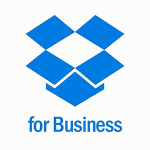 How does M-Files streamline common business processes (such as contract approvals, controlled content, invoicing, etc.)? M-Files offers automated workflows which monitor each step of the process and sends a notification whenever something needs to be handled. Can M-Files eliminate the recreation of commonly used documents? Yes. M-Files enables users to create document templates that will automatically fill in information for commonly used documents. Have you read these M-Files reviews and are still not sure if it’s the right fit for you? Read our reviews of all top document management software or check out one of these three M-Files competitors. 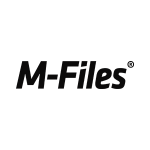 M-Files doesn’t follow the traditional folder system and manages the documents using the metadata. Also, the level of customization is very wide which is definitely far ahead of any of the other DMS available in the market right now. You will fall in love with the structure M-Files uses to store the documents. It’s different and smart from the traditional folder structure.